AirHarmony 4000 consists of a single self-contained unit, removing the need for an equipment rack or any indoor equipment. Units are powered from a compact power supply unit based on AC or -48V DC power sources. 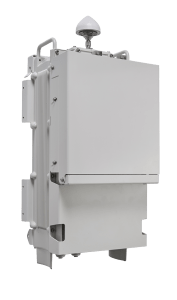 AirHarmony 4000 supports various backhaul alternatives including multiple fiber / copper interfaces which enables various network toplogies including daisy chain and ring. AirHarmony 4000 also supports tight integration with iRelay or iBridge, Airspan’s wireless backhaul products. AirHarmony 4000 Mini-Macro Cells can be installed on traditional tower sites, or on existing street furniture (lamp posts or utility poles) which are either OPEX free, or have nominal on-going expenses, thus avoiding the recurring costs associated with a traditional Macro site acquisition. Full plug-and-play functionality, out-of-the-box to fully operational, within 20 minutes. Ideal for networks, delivering high data rates and significant cell size where needed most.